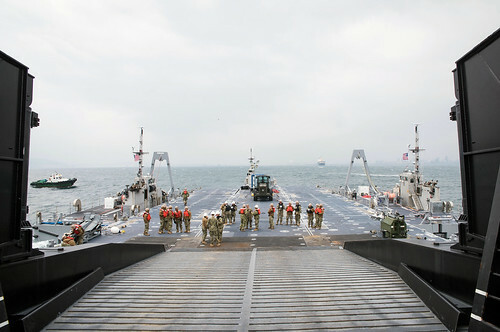 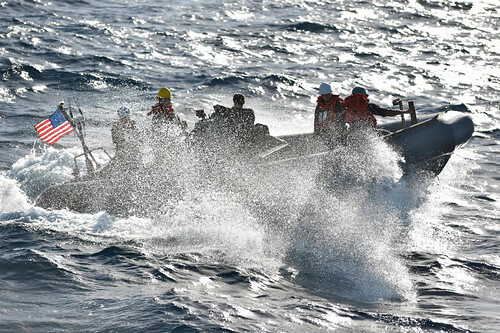 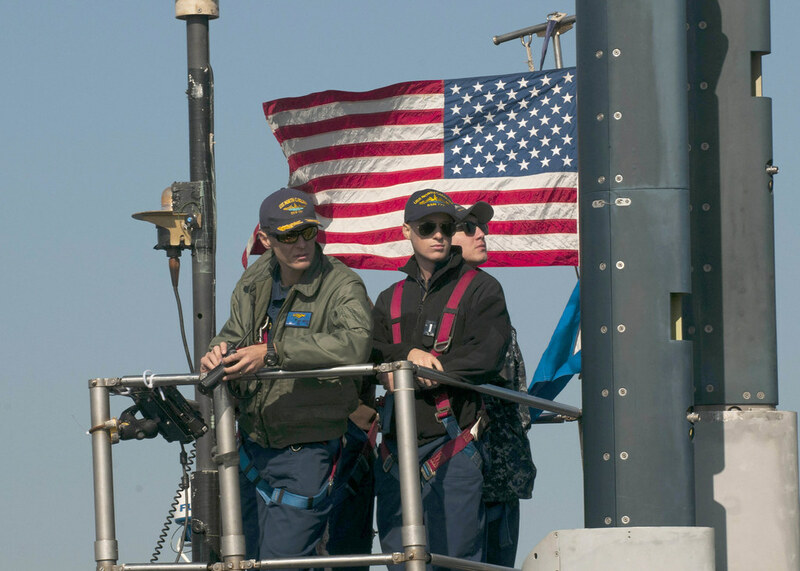 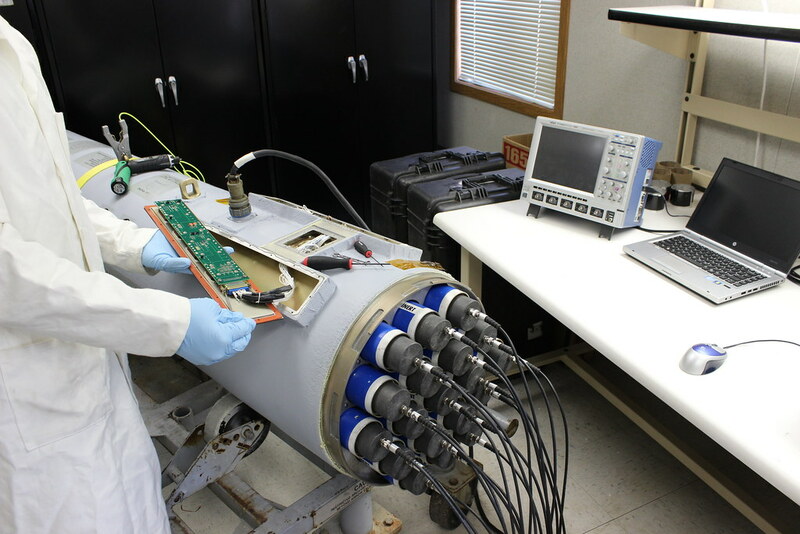 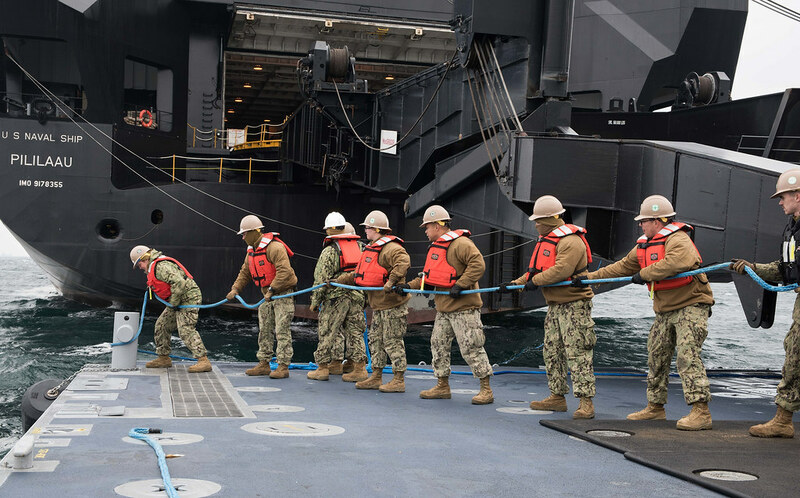 Sailors haul in a spring line to secure the Improved Navy Lighterage System Roll-on/Roll-off Discharge Facility. 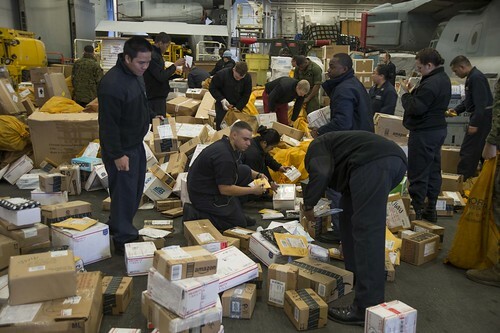 Sailors sort through mail received during replenishment at sea in the hangar bay of USS Bonhomme Richard. 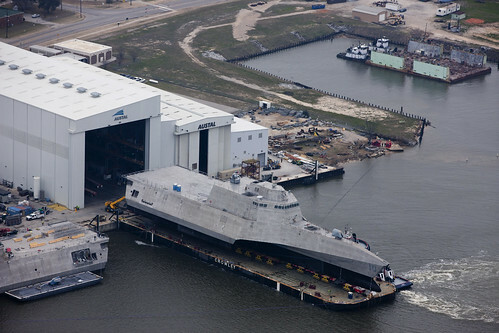 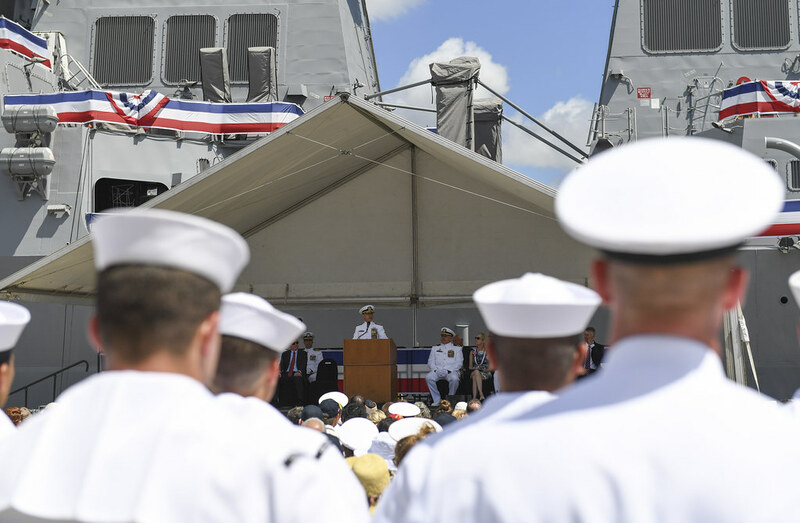 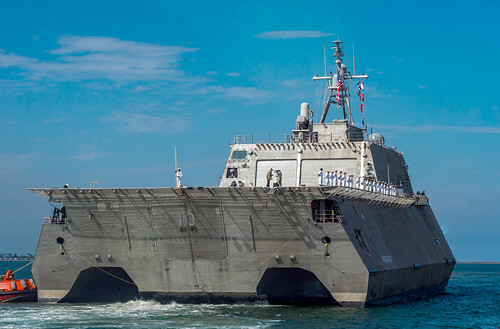 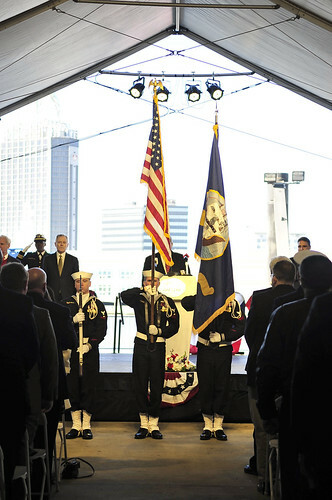 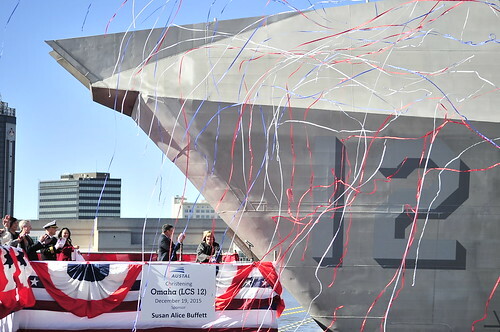 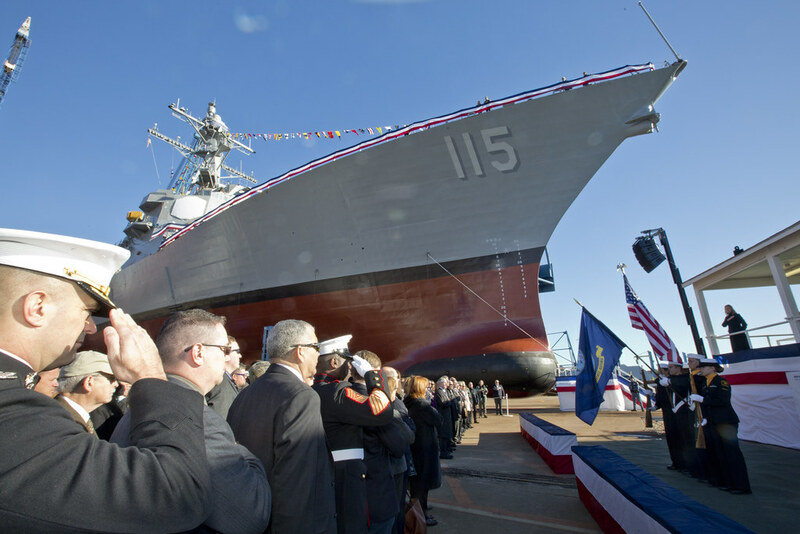 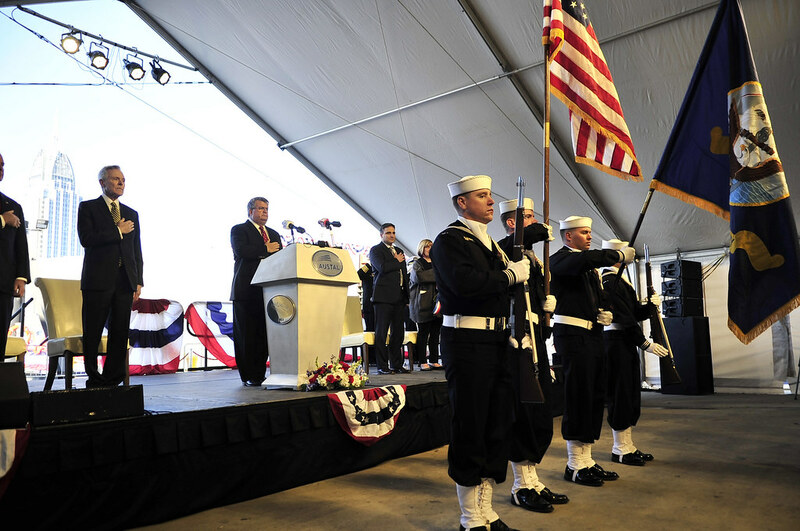 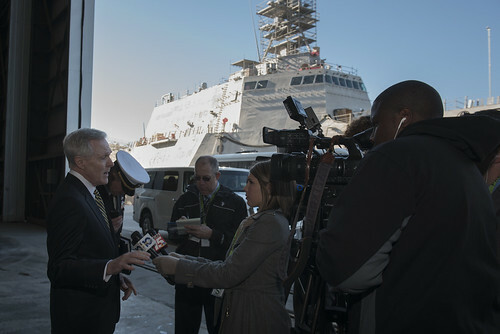 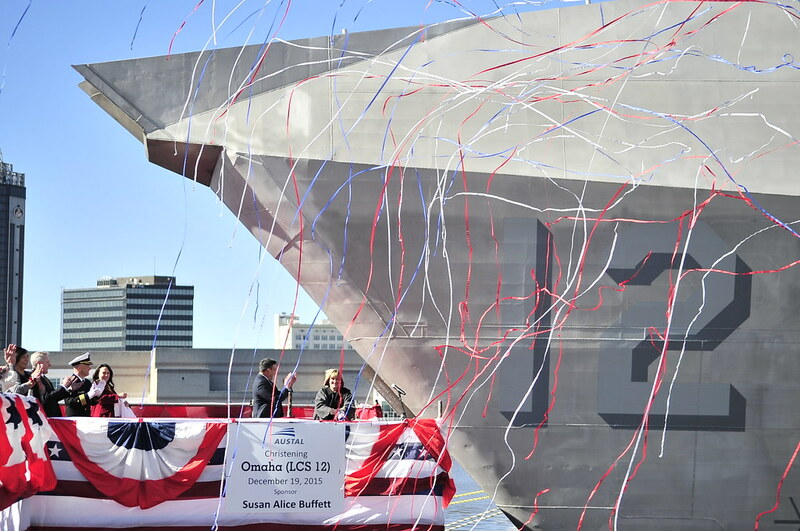 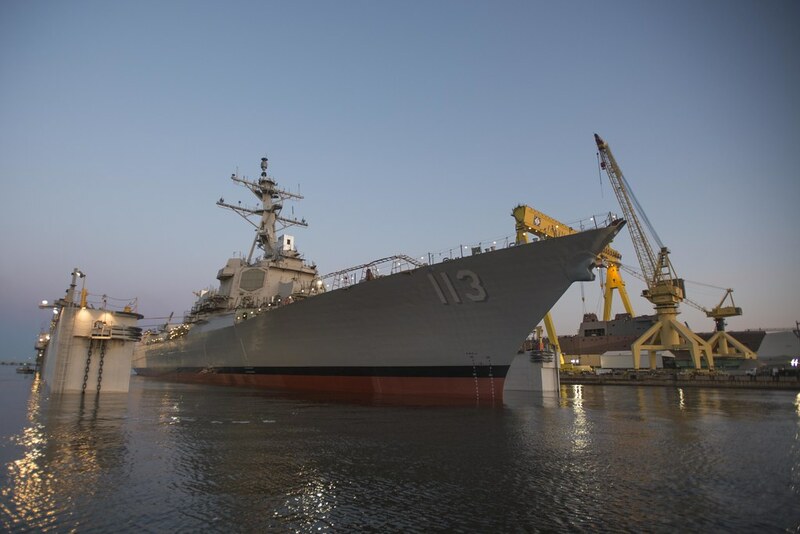 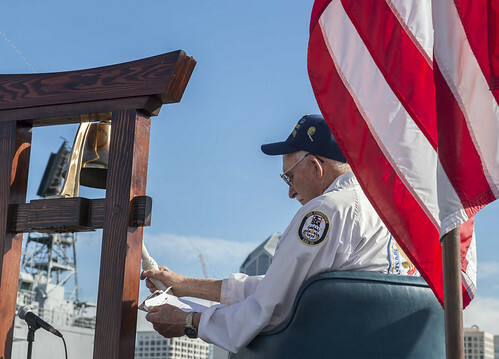 The future USS Omaha (LCS 12) is christened. 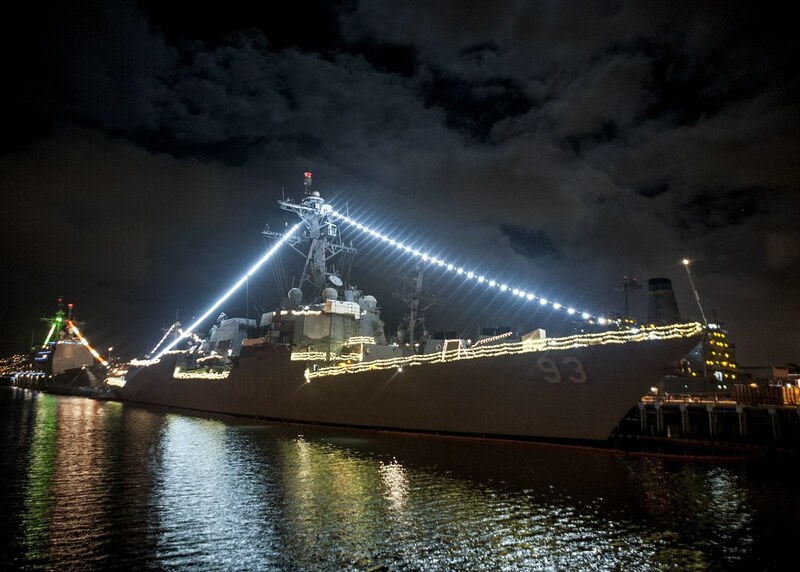 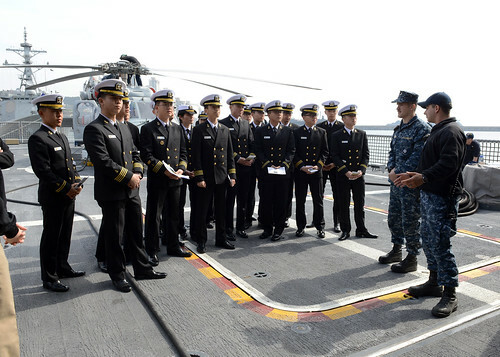 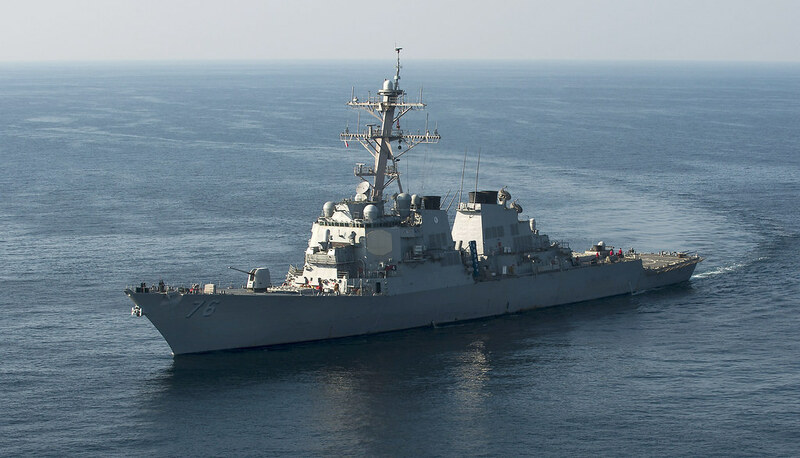 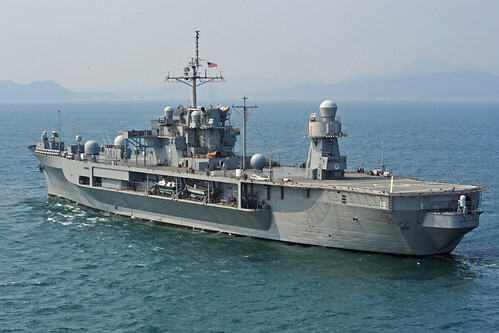 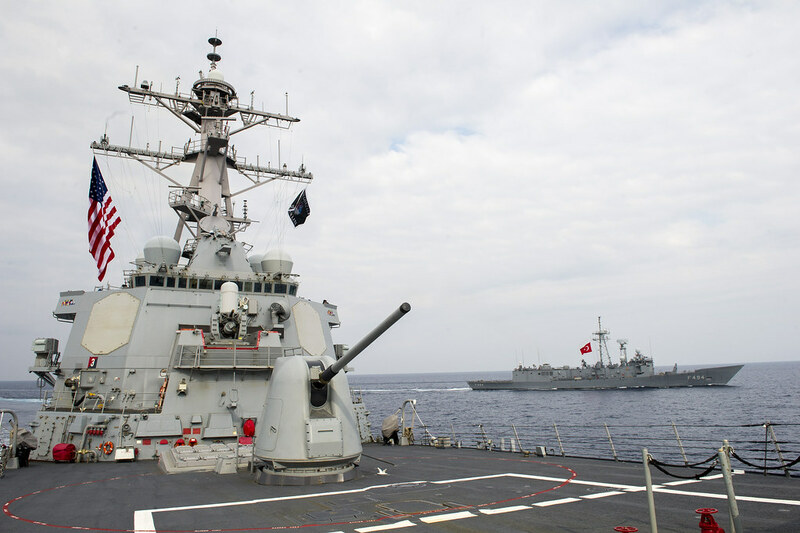 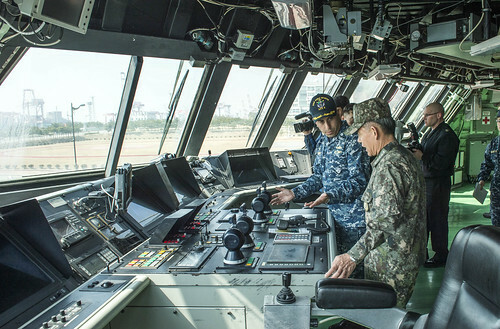 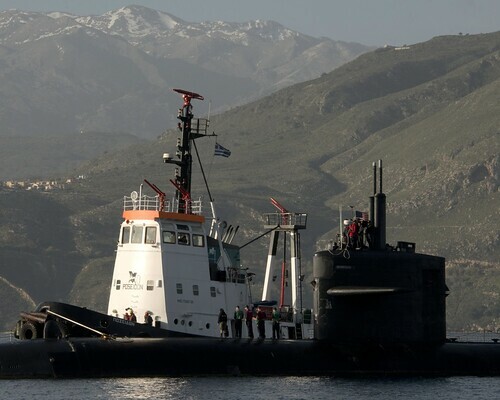 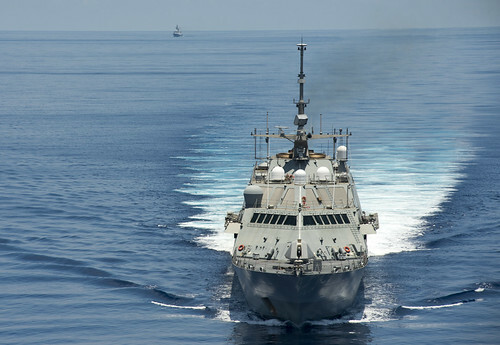 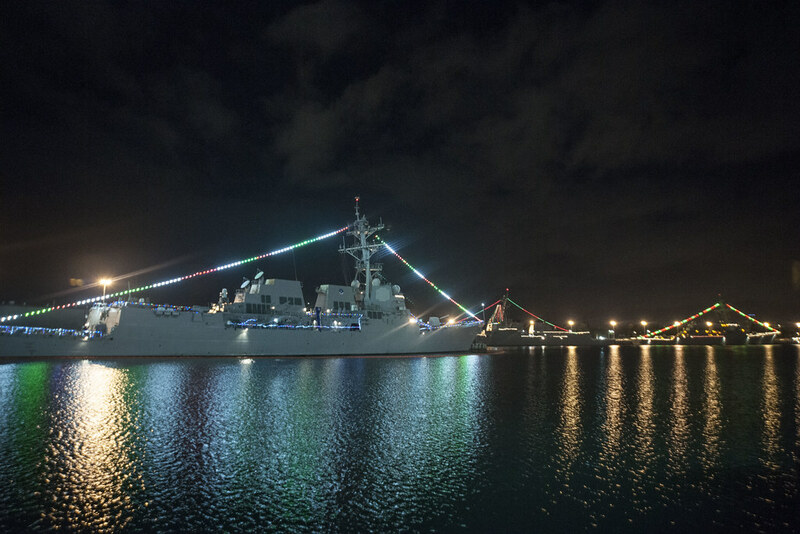 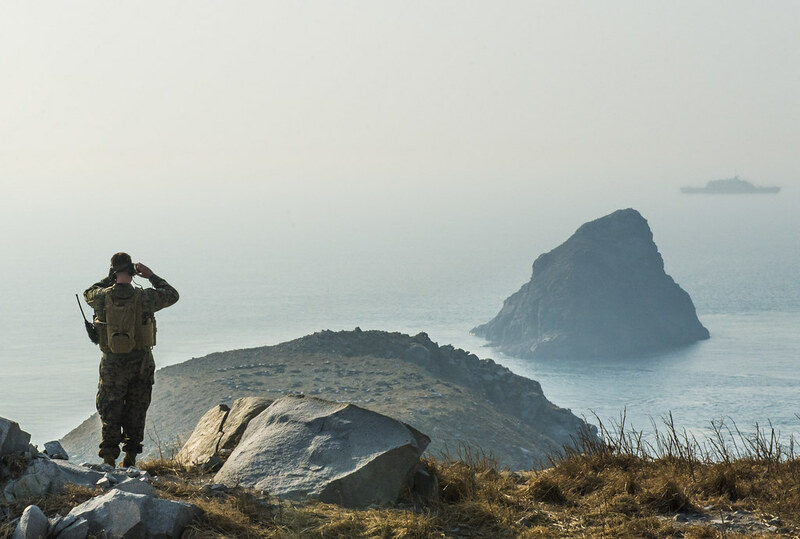 USS Gonzalez participates in a passing exercise with Turkish Navy ship. 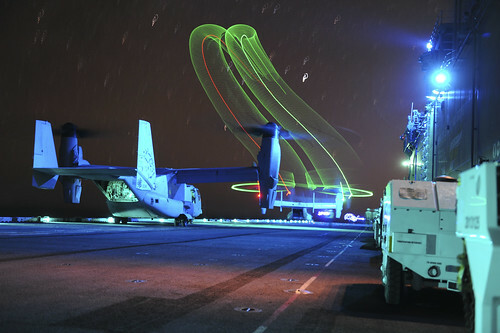 An MV-22 Osprey launches from USS Boxer. 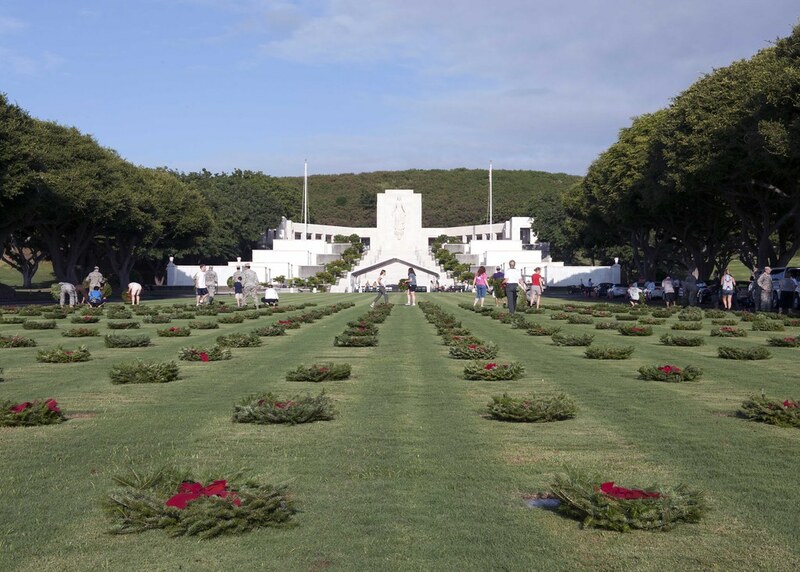 Holiday wreaths adorn the gravestones of service members at the National Memorial Cemetery of the Pacific in Honolulu.